The watch is available in three colors, Stainless Steel, Gunmetal Black, and Rose Gold as you can see above. It’s unclear if you’ll be able to swap bands on this model, but considering it’s a LTE watch, it’s a 50/50 shot. 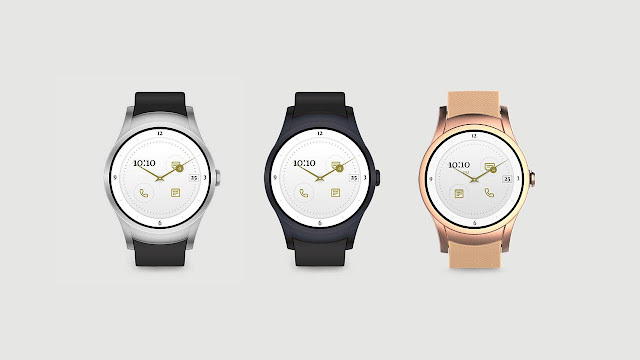 The LTE-equipped Wear 24 will have a 1.39-inch round display with a pixel density of 290 PPI. Verizon doesn't mention the actual resolution, but that should work out to 400x400.